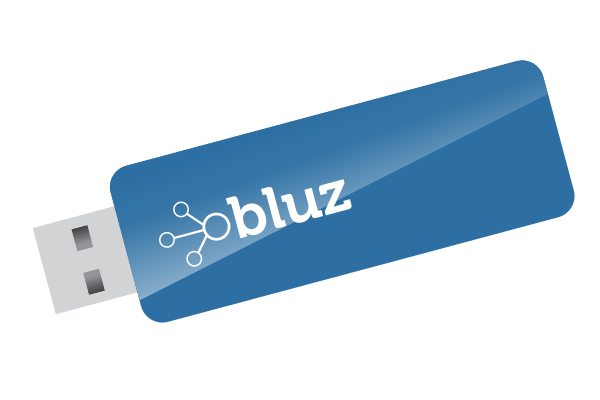 The bluz gateway and gateway shields are hardware devices that allow you to connect your bluz DK to the Particle cloud without a smartphone. This is greatly beneficial for many applications where the devices must work and be connected at all times. These devices are basically a bridge from Bluetooth LE to WiFi or Cellular, and can allow up to 3 bluz DK devices to connect to the cloud at one time. The gateway/gateway shield acts like any other Particle device, it can be programmed OTA and access all Particle functions. Once your device has been powered on, you can claim it and program it through the Web IDE. The difference between a gateway and a gateway shield has to do with the Particle device attached. The gateway shield has a socket to accept a Particle Photon, Core, or Electron. This gives flexibility as it can be used with WiFi or Cellular, or future technologies. The gateway, on the other hand, has a Particle P1 module built in, so it will only work with WiFi. This tutorial will walk you through getting your gateway or gateway shield setup and working. This tutorial assumes you have already setup and claimed your bluz DK devices using the Getting Started tutorial. As the gateway has a P1 built-in, there is no need to program the device. However, you need to pass WiFi credentials to the P1 module to get it online. 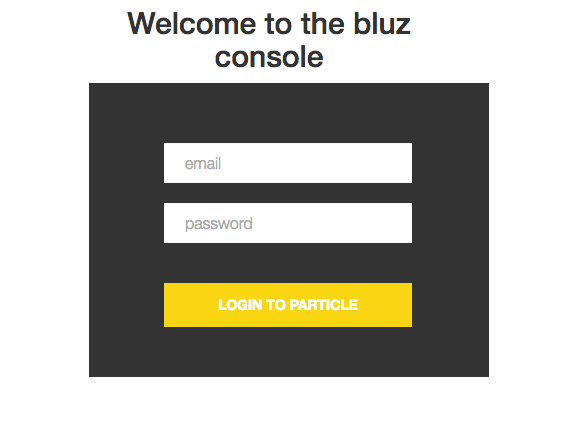 Download the Particle app from the respective store. 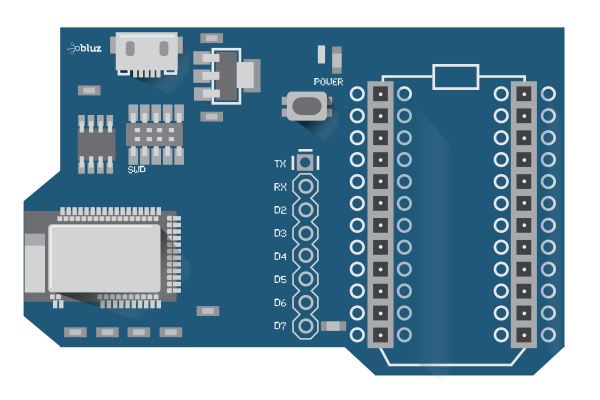 Some boards shipped with firmware v1.0.47, those shipped before April 18th, 2016, may require these steps to connect. Once you update the firmware of the gateway shield, this will no longer be necessary. Follow these steps only if the LED on the gateway shield doesn't act accordingly. When an OTA update is initiated, the LED will also blink on/off for each data chunk received, so it will blink somewhat steadily on/off. Further, it is advised that no code be placed in the loop() function. This can block the gateway shield from working properly. The bluz console can be used to claim gateway shields, update their firmware to the newest version, and program Particle devices to work with them.